Ohio workers’ comp is a no-fault system. That means to qualify for benefits, it's unnecessary to prove your employer’s negligence caused your accident, and it doesn’t matter if you made a mistake that led to the injury. However, you must prove something at work caused your injury. We look at the evidence you need to support that claim. This means your injury or illness must have happened or developed while you were performing work-related duties and resulted from some factor related to your job. While it seems simple enough, it can become a case of your word against your employer’s. That's why you need some key pieces of evidence to prove your claim. The BWC states it needs “statements from the injured worker, employer and any witnesses and, especially, all medical evidence (i.e., progress notes, diagnostic reports, etc.) submitted by any treating providers” in order to approve a claim. Injury report. Soon after sustaining your injury, you must report it to your employer. There should be forms available in your workplace to do this. This information will be valuable in documenting that your injury occurred at work. Witness statements. If co-workers were present when you were hurt, we'd talk to them about what they saw. Security footage. If any surveillance cameras may have captured the accident, we may secure them to be presented as evidence. Medical records. A doctor’s assessment of the cause of the injury s/he's treating you for is a crucial piece of evidence. Details about ongoing office visits and treatment are also important. 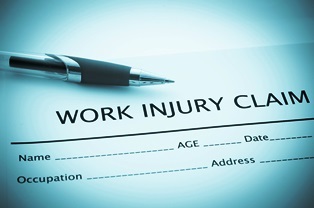 Many workers’ comp claims proceed without a hitch and can be handled by the employee. However, if the BWC or your employer doesn't believe your injury happened on the job, you've come to the right place. Give me a call to discuss your case--it's a free call, so what do you have to lose? If I can help, my team and I will get to work right away collecting the evidence to support your claim and get the workers’ comp benefits you deserve. If I can't, then at least you'll have some idea where you stand.